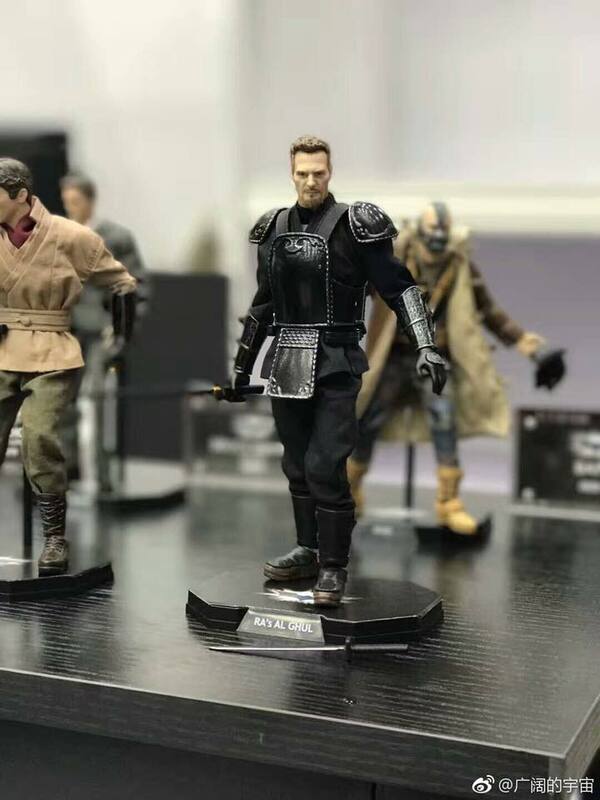 At Shanghai Toy Show 2019, a new DC Movie figures was on display by Soap Studio. 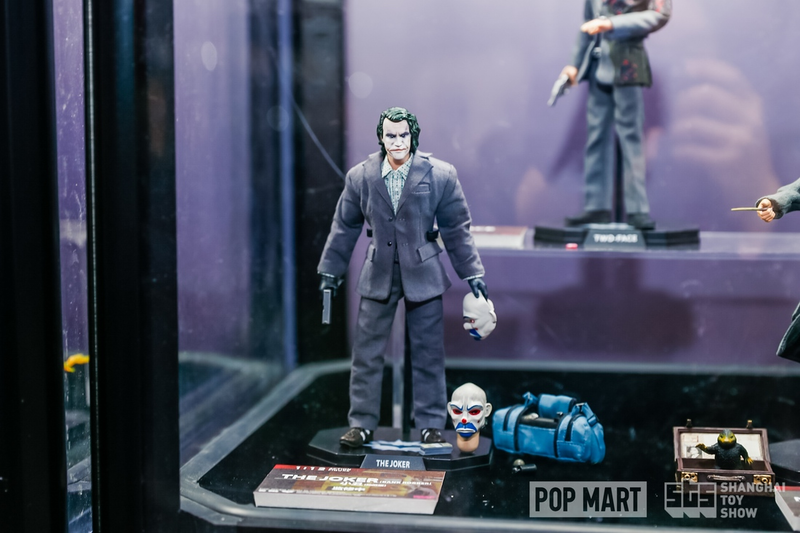 At the event, they had an all-new The Dark Knight – The Joker 1/12 Scale Figure on display, along with the previously announced Two-Face. 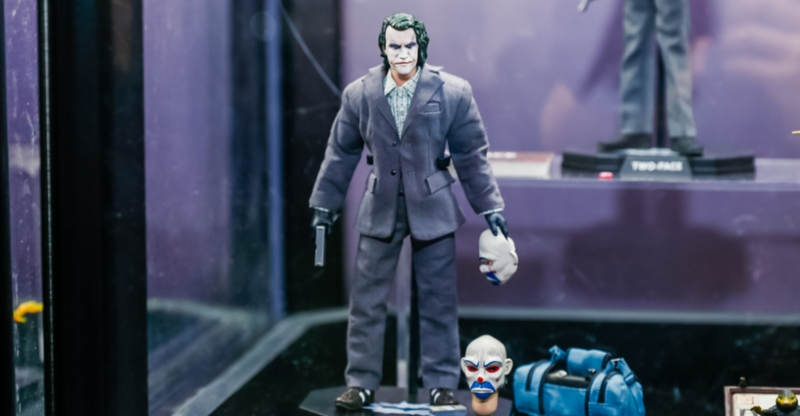 As you can see in the photos, the roughly 6″ scale Joker will include two interchangeable heads, a mask accessory, a duffel bag, a pistol, and more. The photo comes courtesy of Toyzfrontline. We will update with further images and details as they become available. Read on for a closer look. If it's about the same as Mezco...I am in. Even if it's a little more, I am all in here. Need more info. BTW they did a FANTASTIC Batmobile. Wow, I'm interested in those BB and TDK stuff totally. Glad to see them actually putting more product shoots of their figures just hope they put out an official pre-order for other sites to get them. Plus I kinda feel iffy on the buck bodies they are using them all seeming too skinny especially for Bane it looks off and the paint on the faces can use some work and some heads look too small aswell on the bodies.Hope they update them more and more as we see them actually hit the market since this line of figures look interesting. I dunno, I feel a lot of these look more like dolls at the moment, especially with the faces. With the exception of maybe a couple, I'll probably stick to MAFEX. I think I'm in for at least a few of them. Sup with the 89 Batmobile? Diggin ninja raz trainin bruce and reverse flash. They could potentially be producing one. 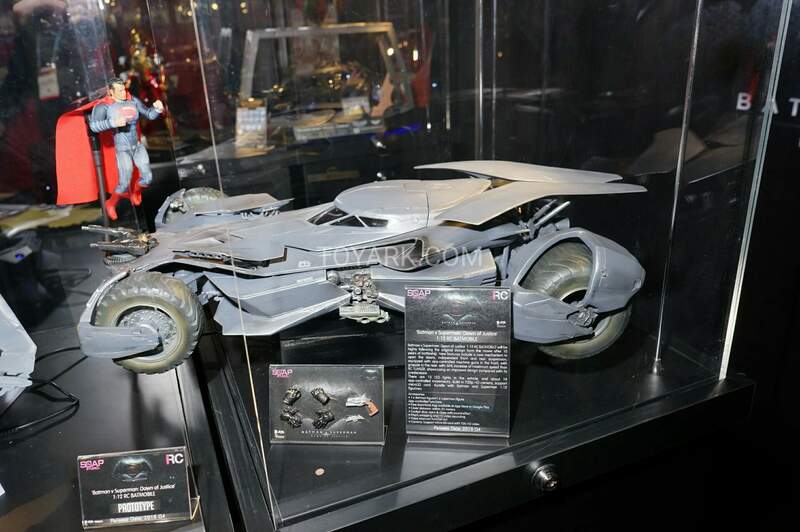 They did a Batman v Superman Batmobile last year. Honestly, I am not sure. It's not a product I followed too closely. I never even heard of this company before. Are any of these jawns out yet? So Mezco is getting some competition! Always good for us collectors. These look solid. 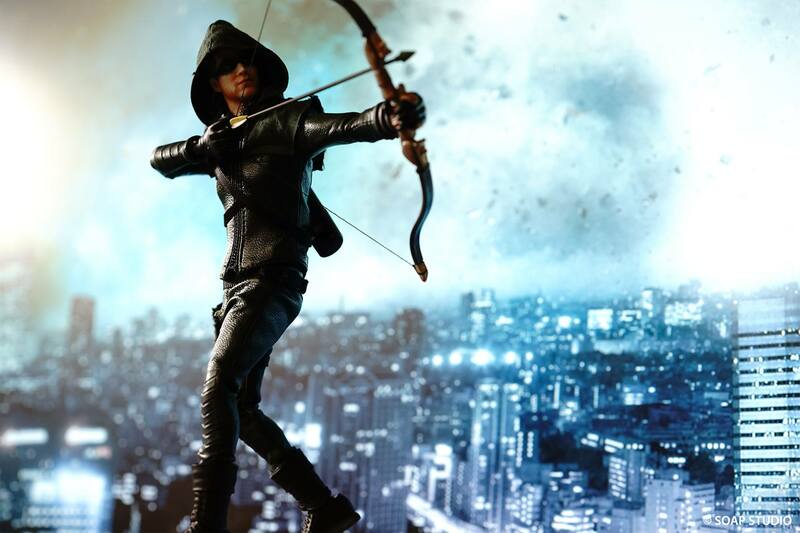 I was probably gonna get Bane from Mafex but Ill shoot for this instead. Reverse Flash and Flash look awesome, definitely considering those. I have to see more Pictures. but the Head Sculpt looks..strange. Mafex still did the best Job with Christian Bale Head Sculpts. I agree with Ventus here - I will have to see an in hand review and pricepoint, these look a little cheap to me, the Bruce Wayne looks nice, but no close up of him, the flash effects look cheesy, and the soft goods on the Green Arrow do not look that form fitting. The Flash has a price of $538 on it, but I'm not sure what currency? If it's China or Hong Kong then this is like USD $60-80 MSRP. Presumably HKD cuz that's what's on their site. Right around $70 USD. Don't forget the sweet Tumbler Soap produced. These look great! I really like the stylization of the heads. 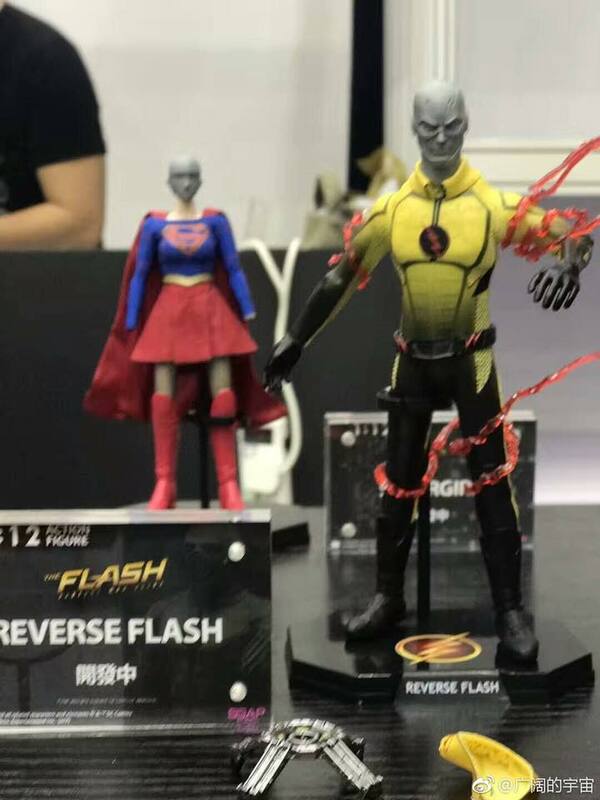 I'm hoping that accessory on the right of the Reverse Flash's display is a cowl like Barry's, so it means they're producing a Wells head. More photos added to the story. I'll get that Ducard/Ra's al Ghul and Bruce Wayne because I see no alternatives for those but the rest are meh. Despise the DC Tv Series stuff. Guess I'm not done collecting Nolan-verse figures yet! I'm thinking the League of Shadows Bruce and Ra's and nurse Joker are must haves. Two Face could be a contender but we'll see how happy I am with the Mafex offering. Why no Gordon? !